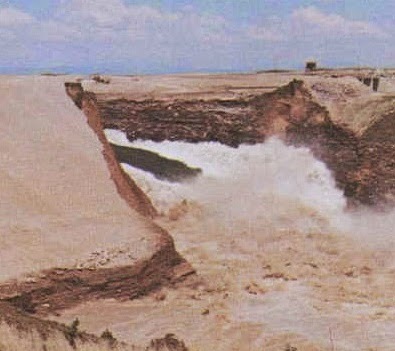 Dear reader in this blog we are providing series of articles regarding dam and their foundation failure and possible remedy; our discussion is focused on sources of leaks in dam and its foundation. Leaks are important, in this regards, as they lead to failure due to piping. We will have idea about rate and development of leaks and subsequent piping. There have many sources of leaks, of these most common (probable) cause of leaks in embankment is poor control in construction process. 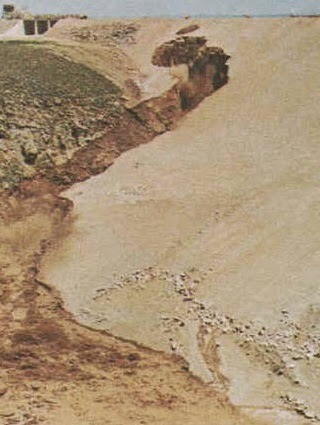 Poor construction means insufficient compaction of layers of materials of which dams is constructed; it may be said that pervious layers are embedded in critical location of embankment. Poor compaction in above critical zone may create severe problem in embankment leading poor bond between elements of dam. b. Cracking in out let piping due to superimpose load and settlement. Dear reader we will discuss each and every sources of embankment and its foundation leaks in this blog elaborately, please stay with us.